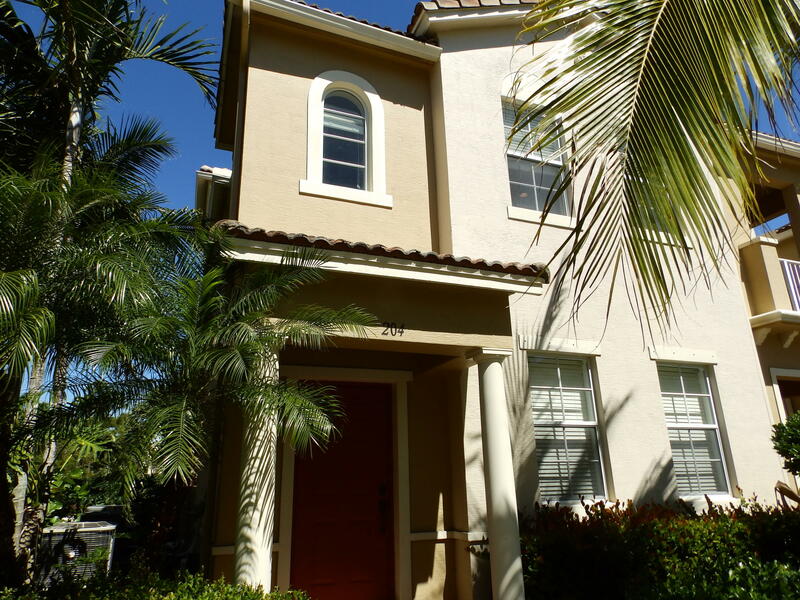 Beautiful 3 story Townhouse with spacious Den on 1st Floor, may be used as a 4th bedroom. Clean, Contemporary Design. 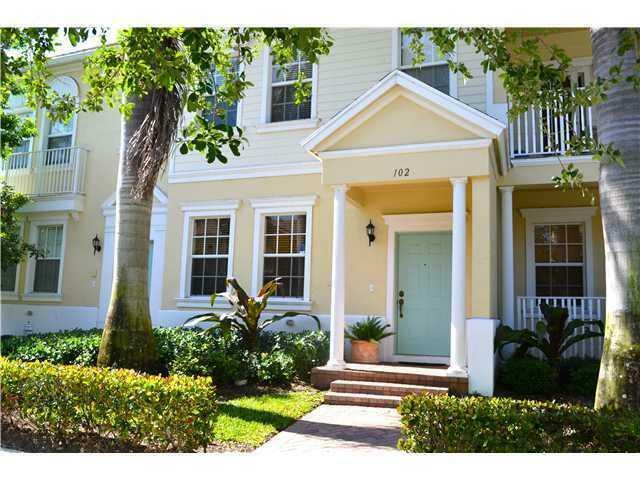 Walking distance to Publix Supermarket and other retail stores including Starbucks! Convenient to the exclusive Gardens Mall,(2) Organic Supermarkets, Theater, Entertainment. Great Location!!! 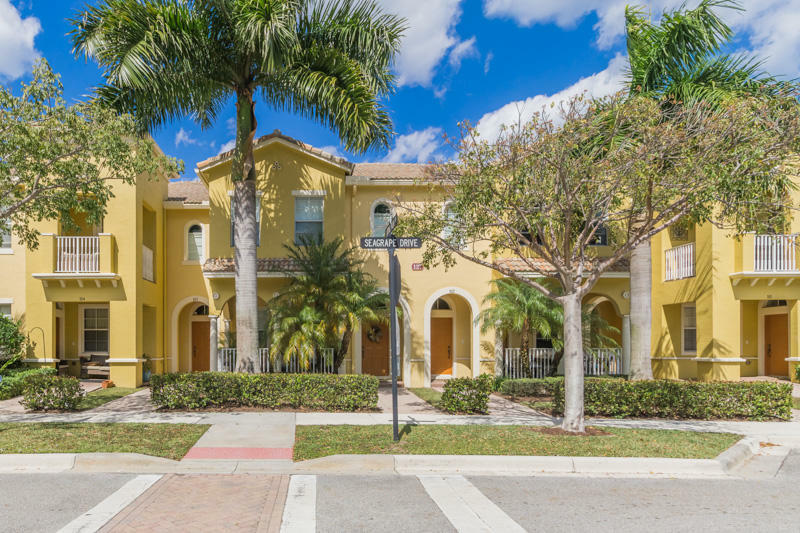 Enjoy the convenience of Sandpiper Cove, walk to Publix shopping center, community pool and tennis. 3 miles from the beach. Close to 95. Just 25 minutes from airport. 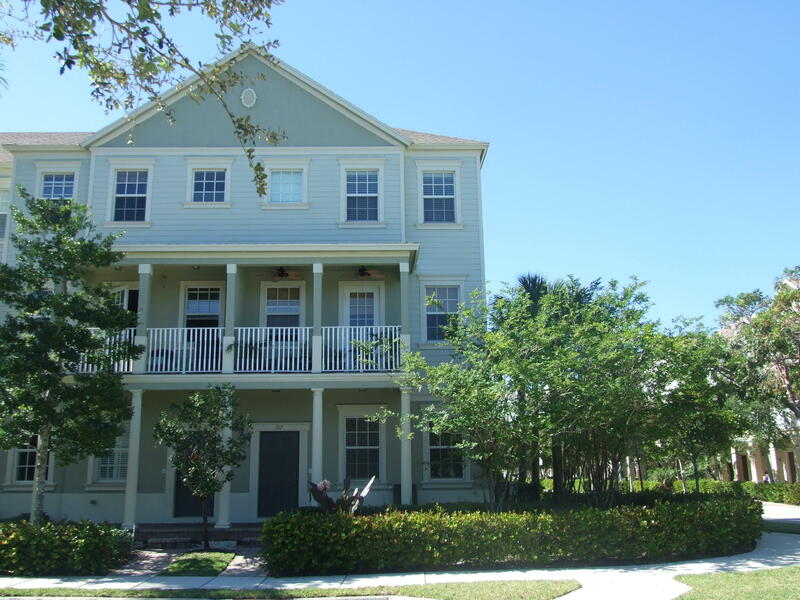 This two story Jupiter townhome features a detached one car garage and carport. Spacious Private patio area great for relaxing, dining and grilling outdoors. 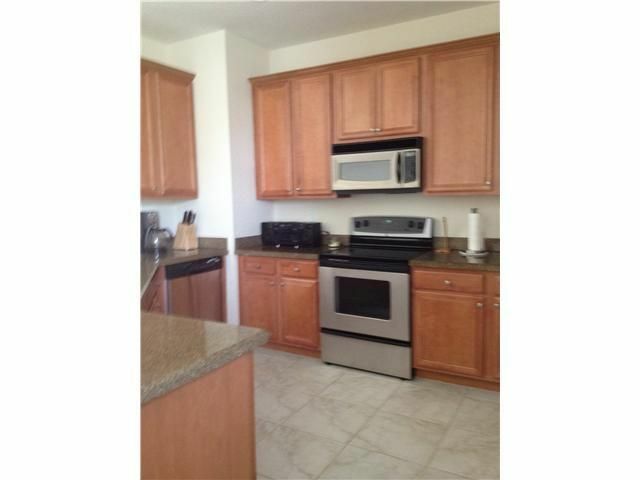 Ground floor has an open kitchen with pantry and breakfast nook area. Dining and LR ceramic tile flooring. Powder room on main level. Upstairs, 3 bedrooms. Master suite has walk in closet and bath with separate tub and shower. 2 Guest rooms share second bathroom. Off Season Fully furnished turnkey off season rental, all utilities, WIFI and cable included.